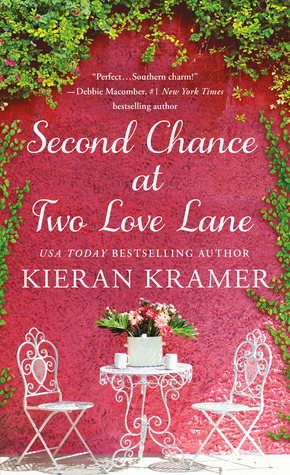 Second Chance At Two Love Lane by Kieran Kramer is the third installment of the contemporary romance Two Love Lane series. As with most romance series each book contains a different leading couple and could be read as a standalone novel if choosing to do so but there are mentions of previous characters in the series for those that follow all the way through. The Two Love Lane series is centered around the ladies running the Two Love Lane dating agency in beautiful Charleston, SC. Being matchmakers themselves and priding themselves upon finding others true love they all have needed a little push to kick start their own love stories and this one would be Ella’s. Outside of working at the dating agency Ella has always enjoyed acting but a career in the business never happened when she missed a huge role waiting for an old boyfriend to propose. When Ella gets the chance at a small part in a movie filming in the area she is of course excited but becomes a bundle of nerves when finding that same old flame, Hank, is the lead. After all these years the feelings are still there but will the call of fame pull them apart once again? Having followed his series from the beginning I already knew going in that I enjoyed Kieran Kramer’s writing style so that part of the story wasn’t a surprise to me. Also, the ladies of Two Love Lane have become like friends at this point so the setting and characters are also ones that I knew in advance I would love. What was different here was Ella’s story being one of a second chance love story and those are often my favorites so I was definitely engaged from the beginning and when done I do think romance fans will enjoy this series overall with each read being unique and enjoyable. 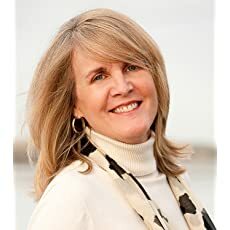 USA Today bestselling author Kieran Kramer writes fun romance novels for St. Martin’s Press. SECOND CHANCE AT TWO LOVE LANE is on sale August 28, 2018! A former journalist and English teacher, Kieran’s also a game show veteran, karaoke enthusiast, and general adventurer. She lives where she grew up-in the Lowcountry of South Carolina-with her family. Find her on Instagram (her favorite place to hang out), as well as on Facebook, Pinterest, Twitter, and at https://kierankramer.com. Nice review Carrie. I’m so glad this series continues to be a winner for you. It’s lovely when you become so invested in characters that they seem like friends. Great review Carrie. I have one of the other Two Love Lane books that I never got a chance to read. Perhaps I will start with that one. I did not realize this was a trilogy. I like that type of series. I hope to start them soon.